The California solar manufacturing company that the federal government loaned $528 million to - and which closed its doors, laying off hundreds of workers - will be in a U.S. bankruptcy court in Delaware Tuesday morning. The proceeding is likely to shed more light on the company that closed abruptly earlier this month, reports CBS News correspondent John Blackstone. At Tuesday's bankruptcy hearing Solyndra will ask for permission to auction off its state-of-the-art factory built with more than $500 million from the federal government. Last Friday, before a congressional committee, Solyndra's two top executives pleaded the Fifth, on the advice of their well-paid attorneys. In bankruptcy court filings Solyndra lists nearly a dozen attorneys being paid from $255 an hour to $950 an hour. The company also wants more than $300,000 a week to pay about 100 employees still working there. But 900 laid-off workers are looking to the bankruptcy court to help them collect severance pay they didn't get when the company suddenly shut down. 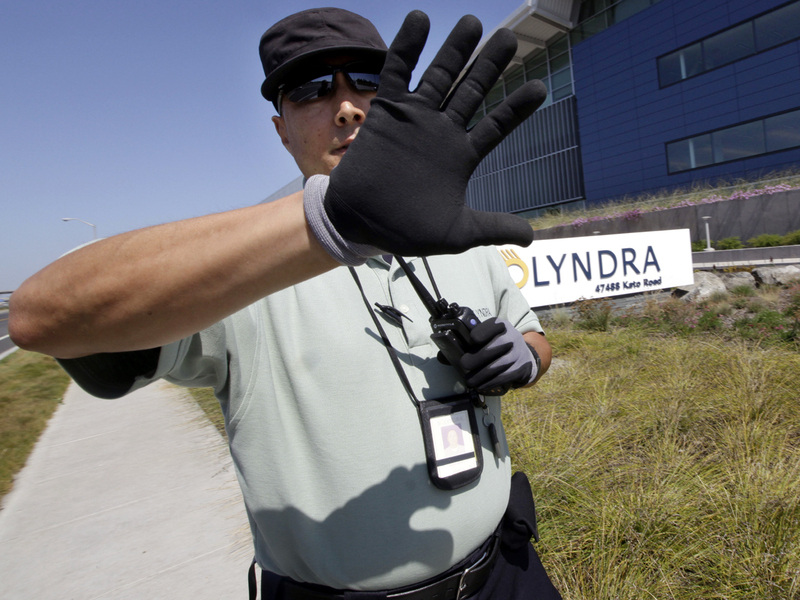 Alan Harper worked as a maintenance technician at Solyndra for three and a half years. Now he's going to job fairs. But when President Obama visited the Solyndra factory last year, Harper was convinced the company had a bright future: "If it hit big, then it hit big. But it didn't," Harper said. "Oh well, I took a chance." But Solyndra, now under FBI investigation, took a chance with a half-billion taxpayer dollars, and lost.